The best bridal hairstyles, like this high bun with veil, combine old and new. Buns are one of the latest hairstyles, especially when worn high on the head. 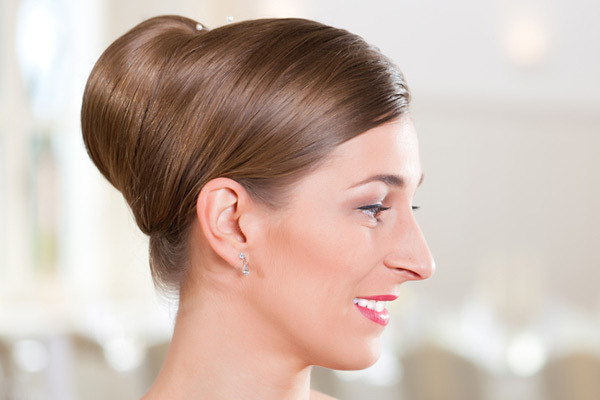 Wear it for your wedding in this sleek and romantic high bun that looks great with and without a veil. This deep side part creates an off-center focal point and leads the eye to the lovely wedding hair accessory that details the bun. This is an effortless bridal updo for long hair that can be achieved with extensions for medium length hair. This high bun is super sophisticated with this sleek continuous finish. This profile is perfectly finished with simple earrings, a dramatic eye, and bright lips. I do! 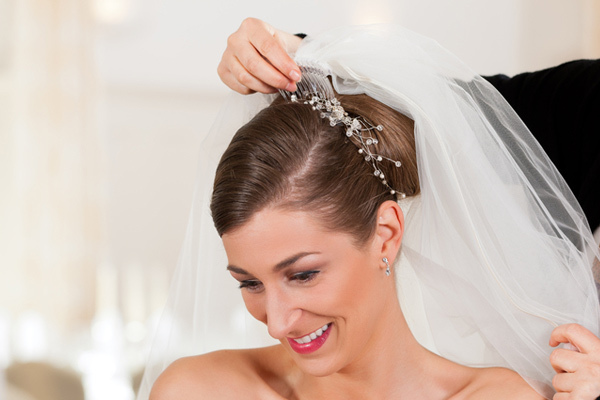 If you’re opting for a veil on your special day, this high bun is still great. The veil is clipped seamlessly into the top of the bun. If removed later, not a hair will be out of place. 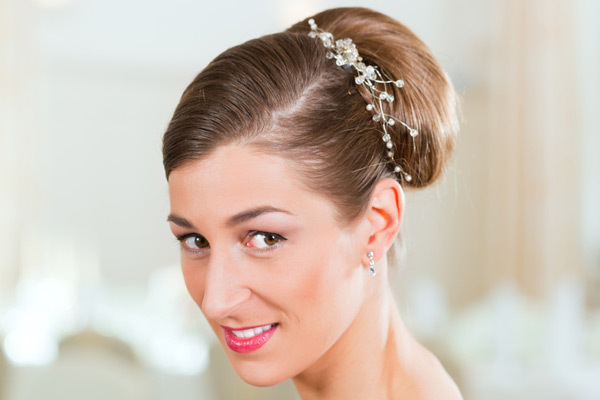 This high bun bridal hairstyle has it all if you’re looking for a romantic and trendy look for your 2012 wedding. Now all you need is something borrowed and blue.